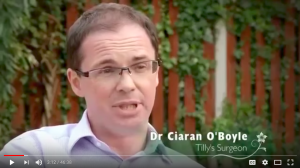 WARNING: This video contains graphic content of disfigurement. 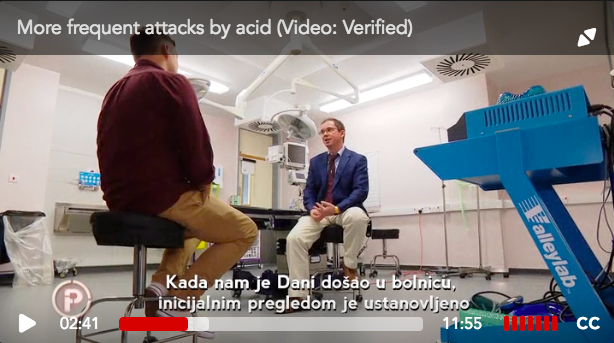 Mr Ciaran O’Boyle was interviewed by a Croatian television programme covering one of his patient’s experience since suffering an acid attack that caused facial disfigurement. The patient received treatment at Nottingham University Hospitals NHS Trust at ICU and Burns Unit. Click here to watch a video detailing the experience. At the NUH Honours Awards 2017, Ciaran was nominated for Lifetime Achievement Award for the Nottingham University Hospitals NHS Trust. Out of all the nominees, he was shortlisted along with two others for the award in recognition of his work. 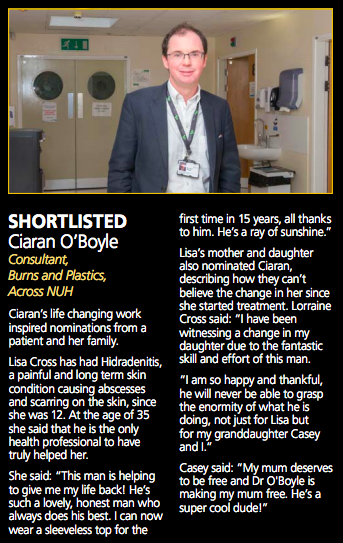 Ciaran was nominated by patient Lisa Cross and her family. Lisa had suffered from Hidradenitis, a painful and long-term skin condition causing abscesses and scarring on the skin since she was 12. We’re very pleased that our patient Tilly Sawford received a bravery award from ITV’s Pride of Britain 2016. Here’s a video of the evening’s awards. Tilly was just 15 months old when she fell into a scalding hot bath, suffering 86% burns to her body. Since then, Tilly has undergone 500 operations, including a leg amputation. Given just a 5% chance of survival, Tilly has been “amazingly brave” since the accident, fully deserving her Child of Courage award. Congratulations to the Burns Unit at Nottingham University Hospitals NHS Trust for winning Team of the Year for the NUH Honours Staff Awards in 2016. 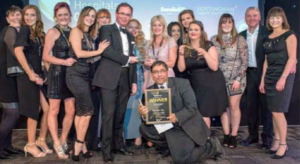 The NUHonours are held by Nottingham University Hospitals (NUH) NHS Trust, which runs the Queen’s Medical Centre, City Hospital and Ropewalk House. The NUHonours awards are now in their tenth year, supported by the Nottingham Hospitals Charity, to recognise the exceptional contributions and hard work of the staff and volunteers. This year more than 650 nominations were received, with the 14 categories judged by staff and patient representatives. Watch the video when Tilly Sawford received a garden makeover from Alan Titchmarsh and his crew of ITV’s Love Your Garden. Friends and relatives were invited to help with the build and of course, the hospital staff who cared for Tilly and have become very close to the family over the years.